You want to offer single-use coupons, but your POS system can’t accept them. CodeBroker Coupon Center connects easily to your existing POS through two simple API calls, to open up a whole new world of possibilities for delivering single-use coupons and offers – and for driving more revenue. Coupon Center enables you to deliver millions of personalized, single-use coupons and promo codes daily through all of your channels: print, email, text, web, mobile app, and wallet. 1. The customer always receives the same coupon regardless of the number of times, or channels in which, she requests the coupon. 2. Once the coupon is used, it expires simultaneously and is marked as redeemed, across all channels. 3. It is impossible for a customer to obtain a second copy of the coupon unless allowed by you. Coupon Center gives you the components to deliver on your offer personalization goals. With just a few clicks, deliver new offers based on each customer’s engagement with prior offers and rewards. Coupon Center’s powerful tools let you quickly identify customers based upon their levels of interaction, so you can deliver reminders and new offers to the right consumers at the right time. Easily identify both Views and Redemptions, giving you deeper insights to help you drive higher levels of engagement. Generate millions of unique promo codes and URLs, personalized for each customer. Validate and mark-as-redeemed across any channel: in-store, desktop, mobile. Attribute each redemption back to the recipient for superior insights. Coupon Center enables you to deploy your own MyOffers digital coupon wallet to give your customers instant access to your best deals and offers all in one place. Give customers the same mobile coupon wallet capabilities as leading retailers like Macy’s and Kohls. 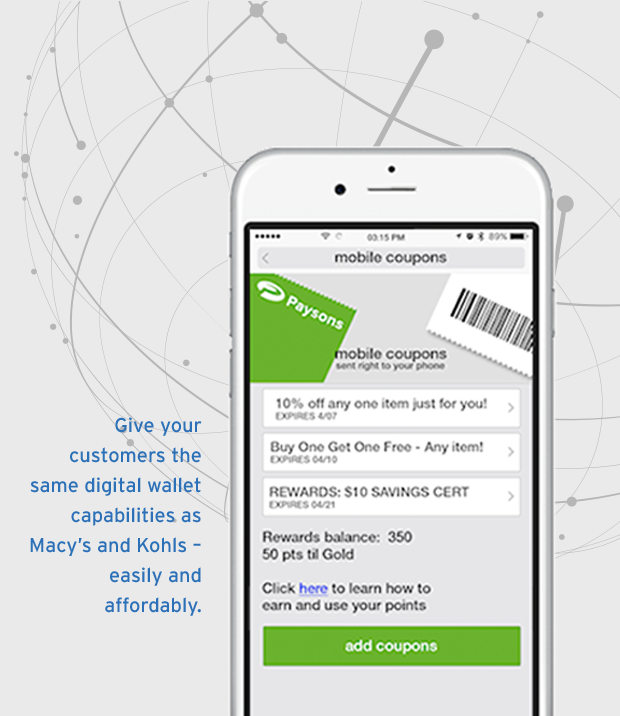 Deliver personalized coupons, offers, and loyalty rewards directly to your MyOffers Wallet, giving your customers an easy way to organize your coupons and rewards from their mobile device or desktop. 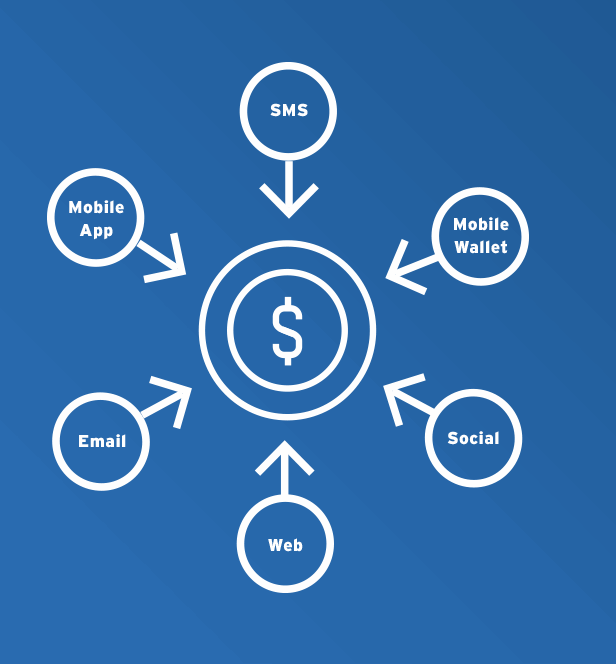 Deliver one or more offers with a single communication. Update, remove, or swap offers to give customers access to the latest deals. The CodeBroker Platform gives you access to the broadest range of coupon logic, from simple to sophisticated – to meet any requirement. You can start simple and grow into more advanced coupons easily. Learn how easy it is to make single-use coupons a reality for your business. Contact CodeBroker to learn more.